When visiting this historic cemetery you should have your walking shoes on as there are no vehicles allowed on the winding road to the cemetery. 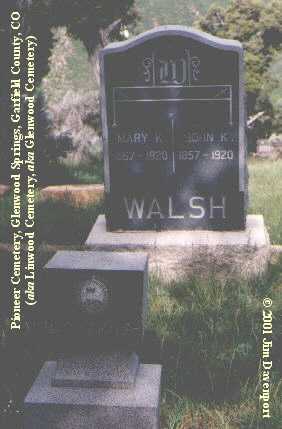 Pioneer/Linwood Cemetery is located just east of Glenwood Springs atop Jasper Mountain. The road begins on Bennett Avenue between 11th and 13th streets. 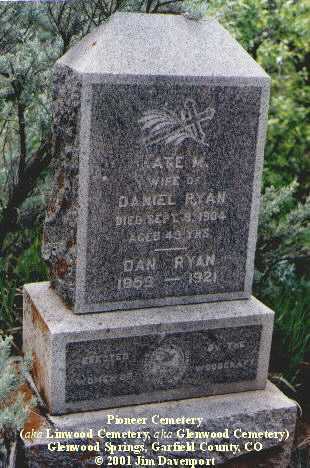 The first burial took place in 1887 after the land was leased to the town by J. S. Schwartz for use as the town cemetery. 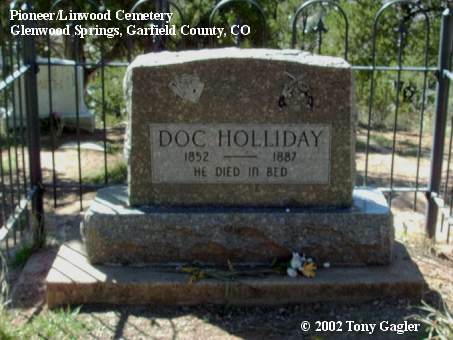 The cemetery is the final resting place of famed dentist, gambler, and gunman, John Henry "Doc" Holliday (see below).--NOTE: Most of this information was found in Linda Wommack's book, From the Grave; A Roadside Guide to Colorado's Pioneer Cemeteries (Caxton Press, Caldwell, Idaho, 1998). 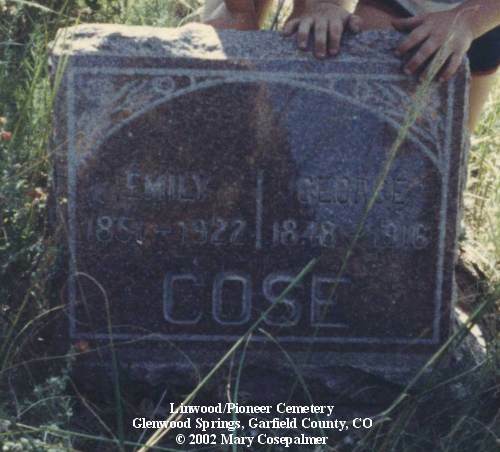 Both Emily and George were naturalized US citizens, born in England; they were the parents of George W. Cose, William T. Cose, and Jay Henry Cose, Sr.